First there was Big Foot, soon there was Grave Digger and now an entire universe of Monster Trucks. Planning a Monster Truck Theme for your Party? This Bounce will drive all over any other Bounce that gets in it's way. 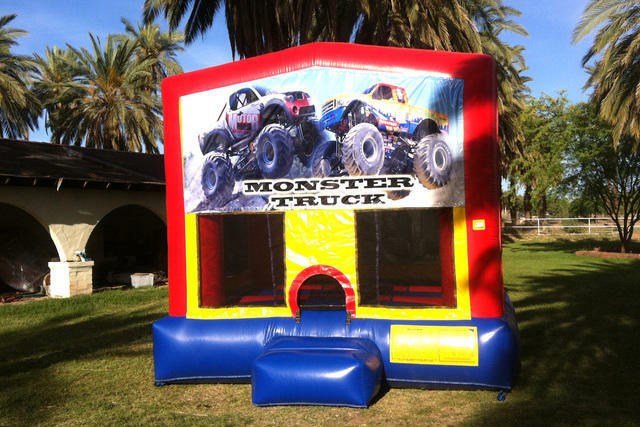 Put your event in high gear with this big, bad Monster Truck Bouncer. You're sure to crush it with this one. I'd say that the boys will love it but we know some girls who love Monster Trucks too!